Mammoths of the Ice Age: poo detectives! 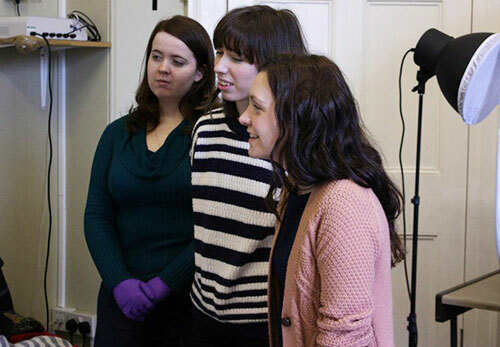 During autumn the Learning and Programmes team brought the Ice Age to family learning groups around Edinburgh. We have visited six groups so far, including the Circle Haven group at Craigroyston Primary, a group of childminders in Sighthill and a family craft group at the Goodtrees Centre in Gilmerton. We told Ice Age tales about Mungo the mammoth and his friends, gave children the chance to touch real fossil teeth and replica sabre tooth skulls, before creating their own cave paintings. One highlight was our Poo Detectives activity. 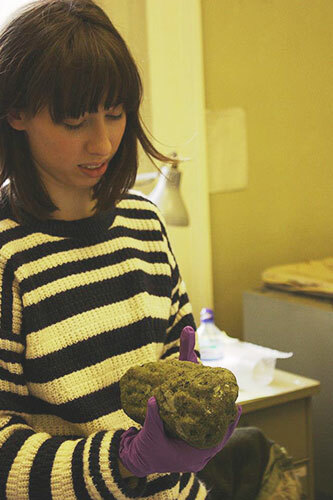 Looking through mammoth dung is an important way that scientists can find out about their diet and habitat. 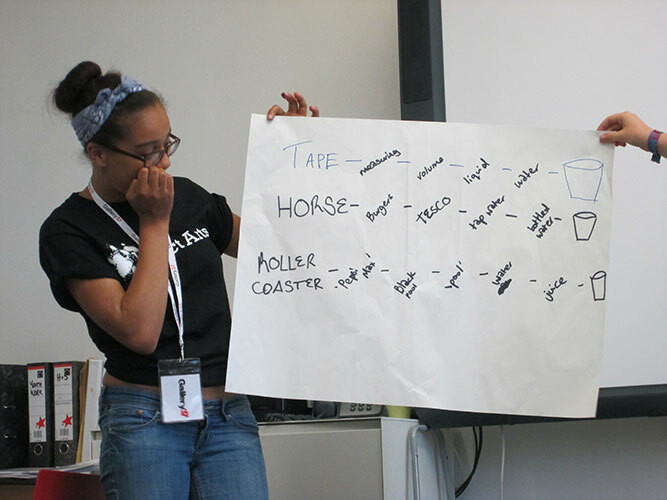 Anything scatological is universally popular with children so we designed an activity around this important science. 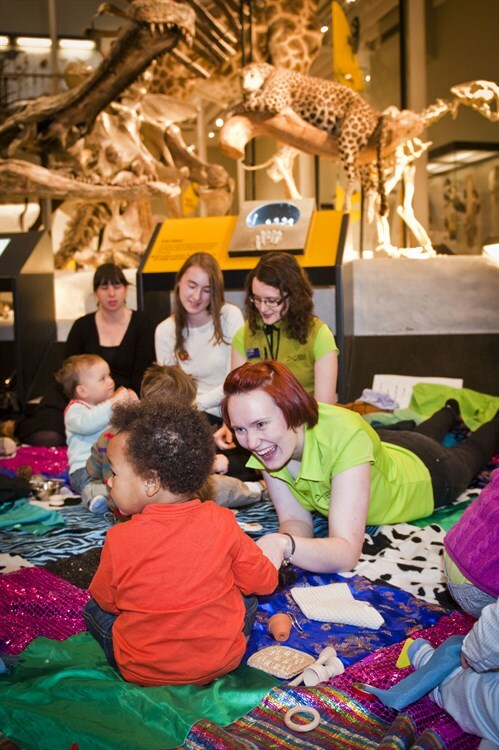 Poo Detectives and other Ice Age activities will be running at National Museum of Scotland to accompany our new exhibition Mammoths of the Ice Age, which runs from 24 January – 20 April 2014. 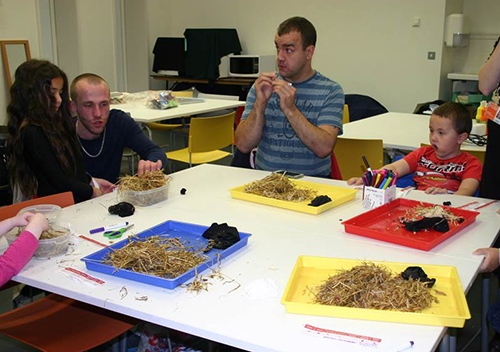 A workshop was set up to teach a group of children, aged between two and 10 years old, all about mammoths and mastodon. The children had some ideas about these animals, mainly through watching the Ice Age movies. To start the session, a visual representation of time was created. Some children stood up in front of the class and held a long piece of string and attached pictures representing humans, dinosaurs and mammoths. The space in between the pictures represented time. 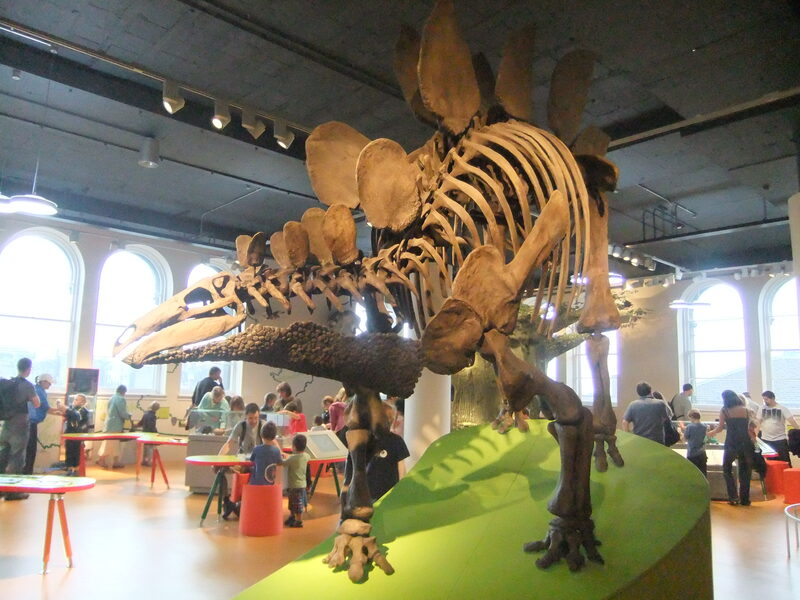 The children were amazed to learn that the mammoths lived millions of years after dinosaurs. From here the children were shown bits of a mammoth and had to guess which part it was. There were a lot of guesses and with a little help from his dad one child got one of them right. The larger of the two parts proved to be a bit more difficult for all parties, but finally we were told it was a mammoth’s tooth. All were amazed at how big it was! 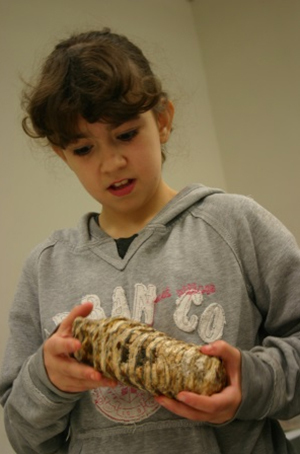 Everyone was amazed at the size of the mammoth tooth. 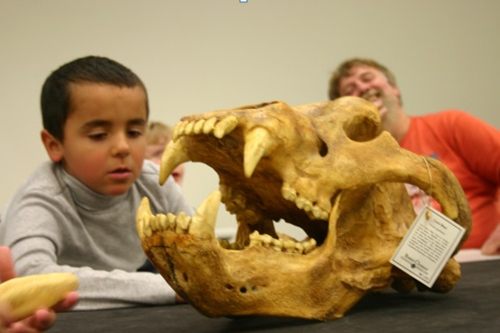 The group were also shown skulls of a cave bear and sabre tooth cat. Then, everyone prepared themselves for the next session. Some of the children had heard about what was coming and could not wait to get started. The items were all laid out: straw, different types of flower seeds, bits of stockings, lemon juice and tomato ketchup. A talk was given by Conor around what mammoths ate, after which the children were given a piece of paper with certain ingredients listed on it, and all the ingredients were placed around the room. With help from their fathers the children had to find and put the ingredients into the piece of stocking they were given, add some water and squeeze and mix all the ingredients up. After draining the water the stockings were cut open to reveal the mess that popped out, much to the delight, laughter and squeals of “it’s disgusting” from the children. Who made this mess? Everyone enjoyed making mammoth poo. After swapping the trays around, having a good look and sniffing the ingredients, guesses were made of which type of elephant or mammoth had made the mess. 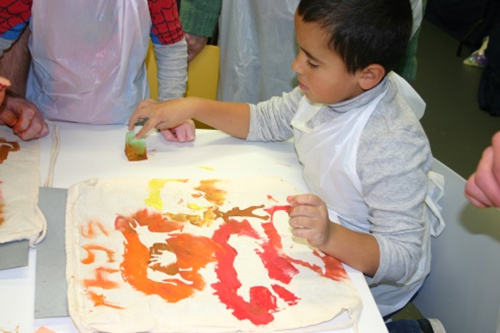 After a short break it was back into the room, aprons on, to do some cave paintings onto cloth bags. 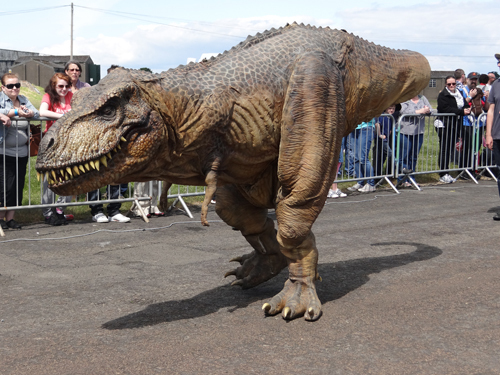 The children had the use of some stencils, which included prehistoric animals and cavemen. Both children and fathers had fun stenciling away. A short walk around the museum whilst the bags dried out, then once all the tidying up had been done it was time to head home. All the children had a great time learning about mammoths, handling the skulls of the cave bear and the sabre tooth cat, and even more fun making the poo: “Next time can I make brown poo?” said one child. The fathers enjoyed the session as well; they know their children like dinosaurs so the chance to take part in such a workshop was a joy to all. All look forward to returning in the New Year to see the Mammoths of the Ice Age exhibition and hopefully the children will remember to bring their painted bags along. On behalf of all the children and fathers, a big thank you to all who helped make this an enjoyable session. 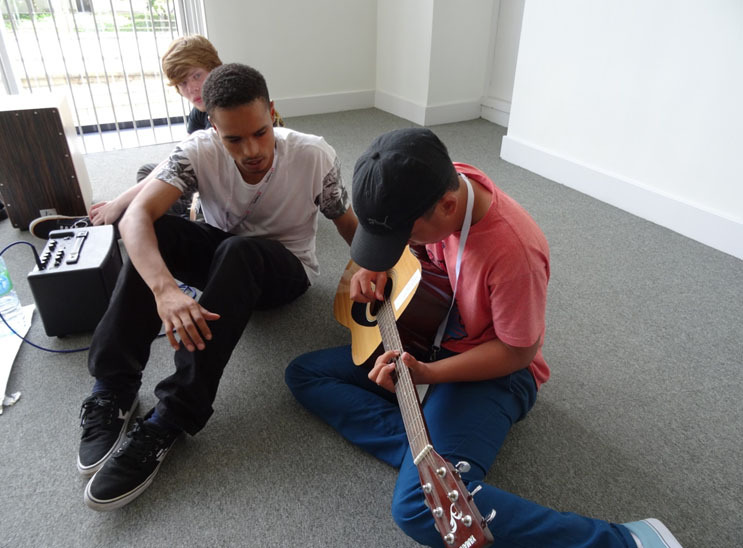 Gallery 37 is Impact Arts‘ creative arts programme that celebrates young people and their achievements. 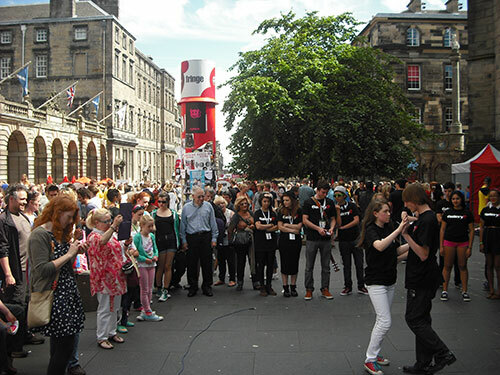 Each year Gallery 37 runs during the summer holidays and culminates in a performance as part of the Edinburgh Festival Fringe. The performance, The Cup, takes place in the Event Space, Learning Centre, Level 2, National Museum of Scotland on Friday 8 August at 2pm. Find out more here. In a museum far far away, an elite group of young people have joined forces to come together to fight the good fight and wage war against the evil that is summer boredom. 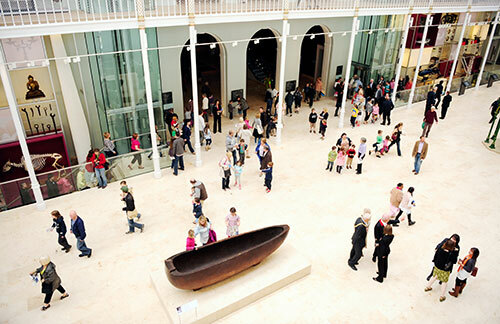 Using the National Museum of Scotland as their lair, our heroes have set about learning new skills and honing their craft in the likes of Animation, Performance, Music and Visual Arts. 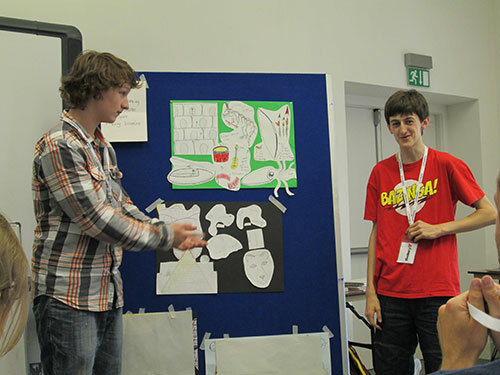 The Animation programme aims to take the young people participating from a minimal skill set (like when Peter Parker used to take the bus) to the level where they are able to display work in public (like a web slinging genius), in the form of a final showcase performance as part of the Fringe, with the hope that the growth shown in a creative context can be a catalyst for positive change in their wider lives. A frightful inspiration from the Museum. 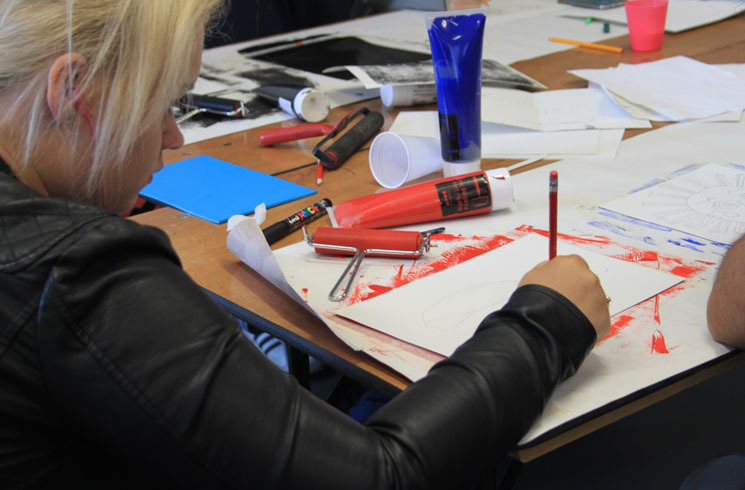 With inspirations in hand, our group set about customising and combining the images they had captured by drawing them out in their own style. Just as Superman needs Metropolis and Batman needs Gotham, our heroes needed a land to watch over, and so our boy and girl wonders set about creating them. This personal ownership of these new ‘realms’ allowed the animators to really let themselves go and develop a flurry of back stories and character traits for their chosen populations. Our budding animators displaying their new worlds. After our worlds were in place it became time to build the heroes who would ensure their safety from now until eternity, with the make up of the new civilisations playing a major part in shaping the way in which our heroes were built. Whether they be animal-based or human, alive or dead, all of our heroes are developing well and will one day soon be ready to help a world near you! Presenting the products of their imagination to the group. As I type, we have just came to the end of the second week of our time in the National Museum of Scotland and reached the half way stage in our project. Needless to say there is a mixture of excitement and nervous energy in the air, with some not sure if this is a glass half full or glass half empty situation, as they are getting more into the swing of things but become increasingly aware it can’t last forever. Being half way through it was time to introduce our stimulus to the group. This year we are working from the stimulus of ‘The Cup’. This caused a bit of a fizz within the group when we tried to float the idea. Initially people seemed confused as to how they could develop the idea, but gradually drip by drip the idea really seemed to seep into their creative pores. Creative session to come up with ideas. The whole point of choosing such an open ended stimulus is simple: we hoped to allow each participant to start with the most basic of items and look at it from a different angle in order to allow their creativity to pour out. Being in the setting of the Museum was also a big influence as every civilisation documented here has some sort of drinking device that they have put their own style on. 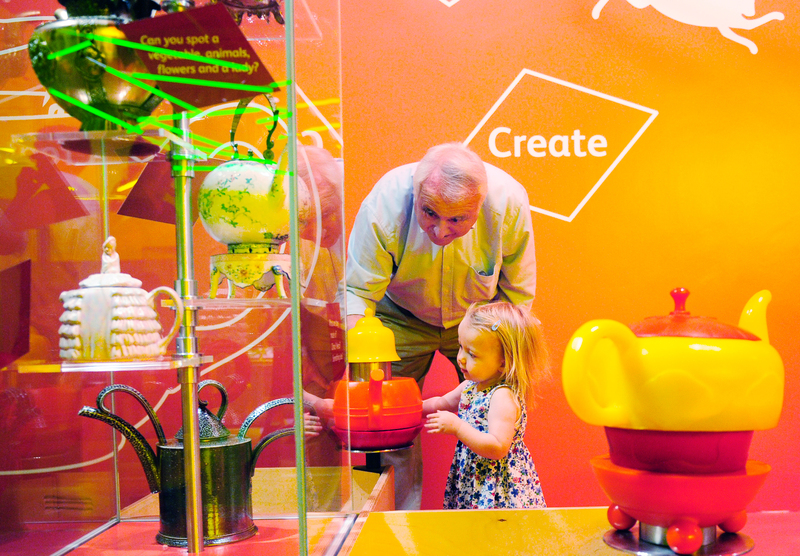 We developed the idea through a series of brainstorming exercises that were designed to show that the cup was only a starting point and that the idea could develop to any place their imagination could take them. We encouraged them to make links between topics. For example, developing an idea with a cup can spill over into being an idea about water or hydration, which could lead to a story about someone needing to find water to survive and dreaming of a cup… and so on. We further emphasised this point by playing a game of six degrees of separation. In groups, the participants started with the word ‘cup’ and were challenged to make connections to a variety of random objects. Here are some of the examples they were given. Why not have a go? Playing six degrees of separation. With the finish line in sight our participants are really kicking on a gear and getting well and truly into their stride as we approach 8 August and our big Exhibit and Performance. 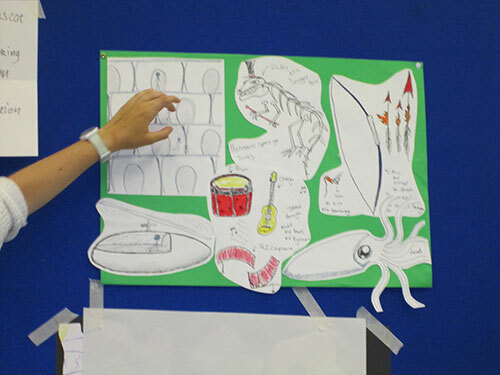 As the final week only really has two working days before we show our work, week three is a key stage for us and a final chance to create any solid, gold medal level ideas. Another key feature of this leg in the process is that we begin to take our work out into the public arena for the first time and receive immediate feed back on pieces that have so far been restricted to the safe environment of the Museum’s learning centre and studios. This was the case for all of our groups the final day of week three. Although many get nervous performing, or even working in front of big crowds, it is important to face these hurdles before they build up to become too much and manifest themselves into challenges more akin to the high jump. 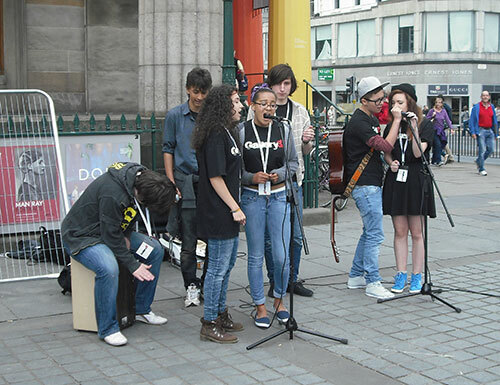 The day started with a joint group of musicians and performers taking to the Royal Mile on the opening day of the Fringe to take over one of the city’s many daily busking slots. Three weeks ago, performing for half an hour would have felt like an uphill challenge to say the least. The musicians kicked things off performing three songs, one an a cappella mash up cover and two original compositions, before neatly passing the baton onto the performance group, who performed a mixture of contemporary and hip hop dance accompanied by some physical theatre and circus skills, all of which was well received by the passers by who took time out of their days to stay and support the young people. Busking on the Mound during Edinburgh Festival Fringe. Dance performance on the Royal Mile. 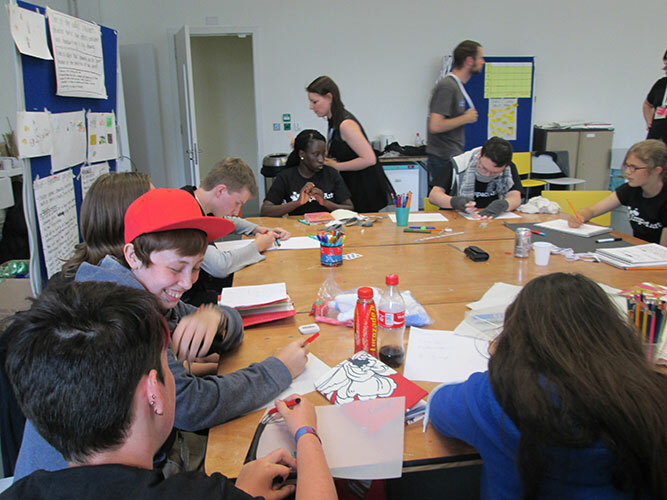 Meanwhile, away from the hustle bustle of the heart of the Fringe, a combination of visual artists and animators set about conquering a challenge that seemed intimidating to even the tutors taking part. 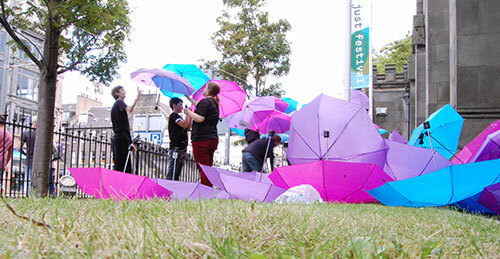 They were tasked with installing a piece of artwork that would last for the duration of the Fringe on Princes Street. 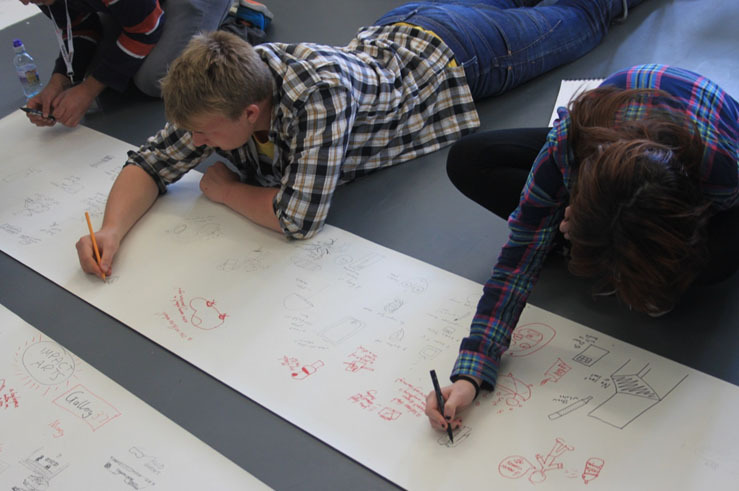 Eventually settling on the subject of ‘changing worlds’, our young people used umbrellas for symbolism and filled the space with words that helped to express their fears for the changing worlds they find themselves in, whether on a smaller or global scale. Working on the ‘changing worlds’ artwork. As we head into the fourth week we are on track and pacing ourselves well to finish comfortably and hopefully we won’t find that we need to swoop for the finish line. 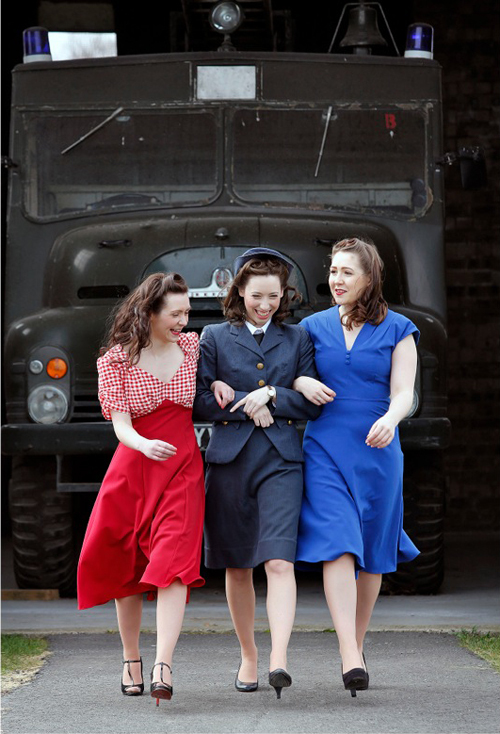 Stay tuned to the blog for the results and please come along to our performance on 8 August between 2 and 4pm in the National Museum of Scotland! I have just finished doing my work experience at the National Museum of Scotland and have found it very enjoyable and interesting. 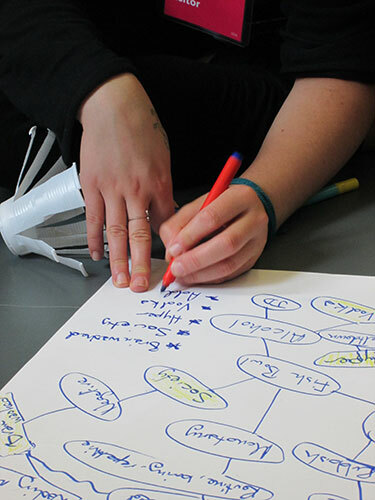 I wasn’t sure what to expect at first and when I received my timetable for the week it looked like I would be doing a range of different tasks, along with being involved as part of the Scotland Creates team, a group of young volunteers working on a two-year exhibition project. I spent the first day being introduced to different people and understanding what Scotland Creates is all about. Once I had an understanding I could then start to give my own input on certain things and carry out activities relating to the project. 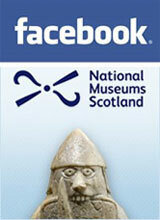 Next day we visited the National Museums Collection Centre at Granton. It had never occurred to me before that there so many objects stored away, and what you see displayed in the museum is just a fraction of the whole collection. 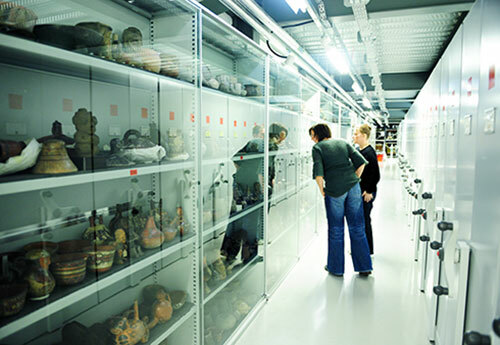 Store room in the National Museums Collection Centre. 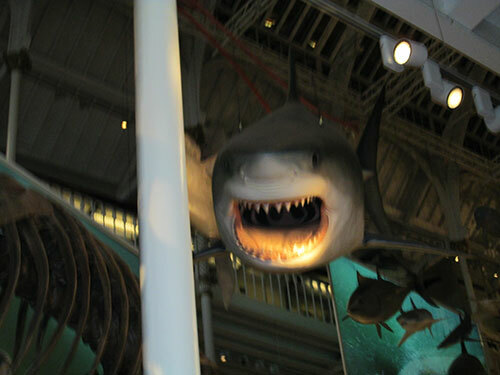 On the Wednesday I visited the National Museum of Scotland in the morning to carry out some market research. I had to look out for what types of visitors were coming in and how many there were. I was also asked if any of the objects I saw around the Museum related to Scotland Creates, but I didn’t find any that fitted with the theme. That afternoon I was given images of the chosen objects for Scotland Creates and went out into the Museum to identify them. I then came back and picked the objects I liked best and had to think about how they link together. The Grand Gallery in the National Museum of Scotland. Thursday morning was eventful. Firstly I went down to the entrance hall and helped people sign up for Magic Carpet Minis and then went up and assisted one of the enablers deliver the session, which was good fun as it was aimed at 0-2 year olds so there was lots of singing! 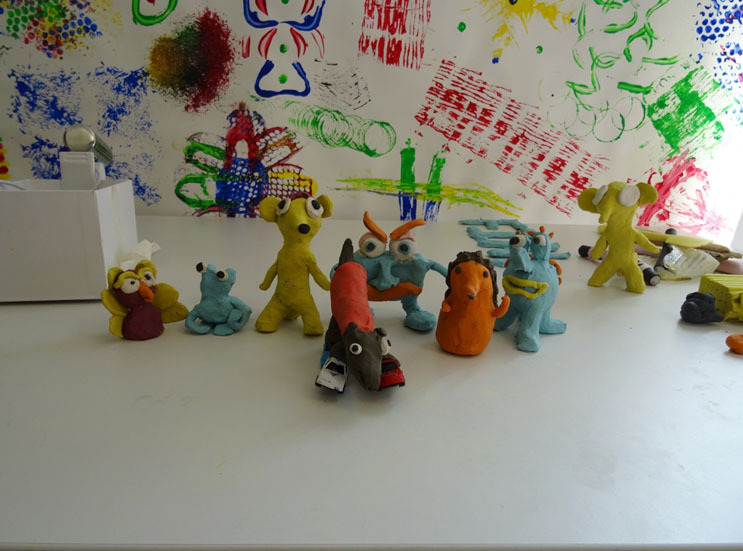 I then went is assist a schools’ Dinosaur workshop for Primary 2 age group. It was very interesting hearing what they were saying and I think they knew more about dinosaurs than I did!! By Friday I was feeling tired so it was good to get out of the Museum again and go up to the National War Museum in Edinburgh Castle. It was great seeing all the different weapons and uniforms. 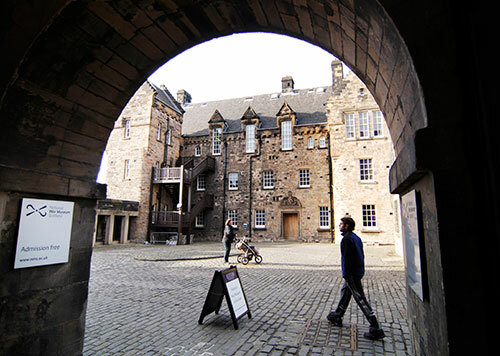 The National War Museum at Edinburgh Castle. Overall I had a great week packed with lots of different activities. I would recommend this work experience placement to any high school pupil as it has been very helpful to me and I had a great time. 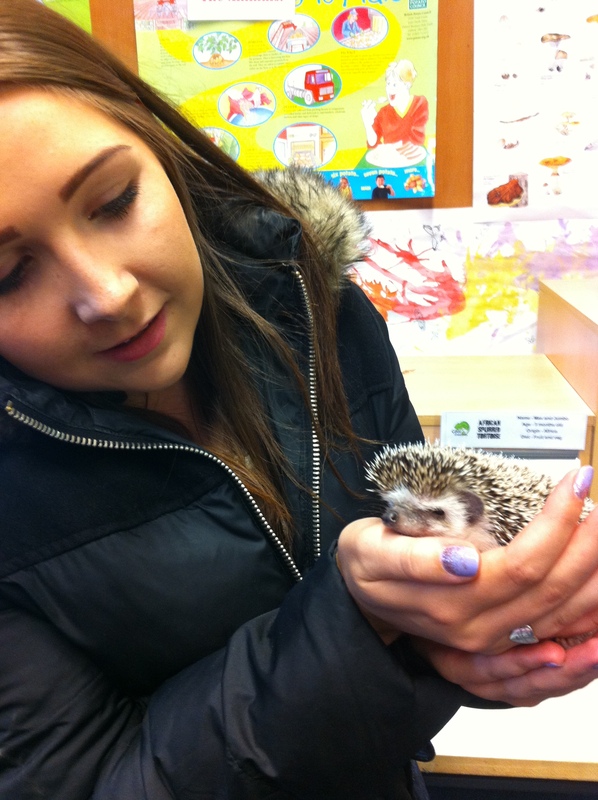 Thanks to Scotland Creates project officer Fiona for making it possible! 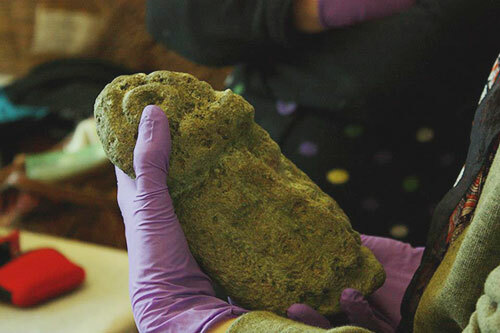 The mystery object: real or fake? 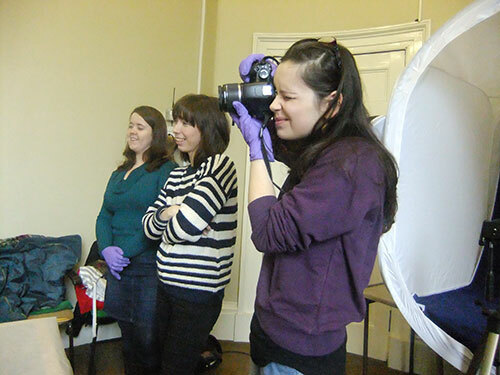 Our Scotland Creates volunteers are working with curators and other staff from National Museums Scotland to create an exhibition on the theme of Scotland Creates: A Sense of Place. 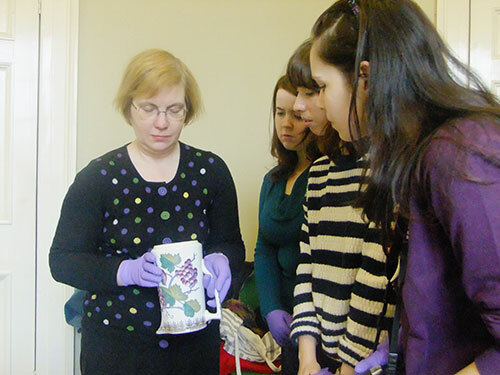 Recently, the volunteers visited our storage facility at Leith Custom House to investigate some objects with curator Val Boa, from the McLean Museum and Art Gallery in Greenock, one of four partner museums taking part in the project. Val Boa from the McLean Museum and Art Gallery in Greenock joined us in Edinburgh to look at National Museums Scotland’s Clyde pottery collections at Leith Custom House. The Clyde Pottery Company, in Greenock, produced wares from 1816 to the early 1900s, and was an important industry in Inverclyde. McLean Museum has the largest collection of Clyde pottery in the world, and Val is an expert in the subject. 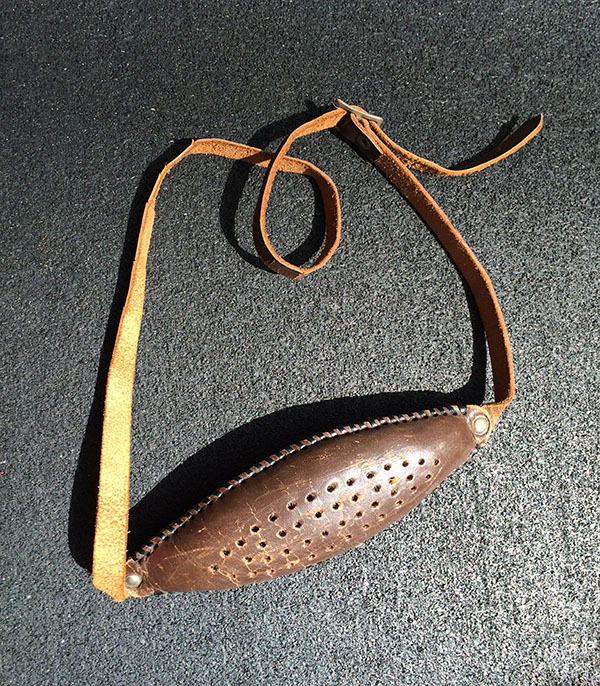 During the session, however, Val baffled us all with an intriguing object, which a member of the public had brought into the McLean Museum. This gargoyle-like owl stumped us all. Klara with the stone owl. 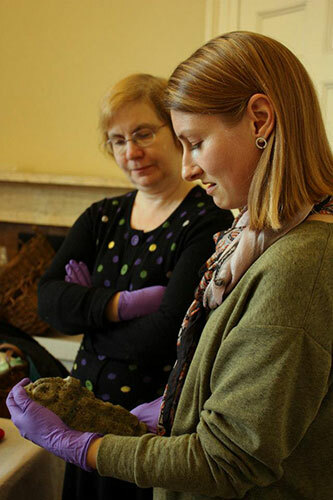 Curator Lyndsey examines the mysterious object. Earlier in the session, Val and Lindsey Mcgill, Assistant Curator of Scottish History, had talked us through the selection of Clyde pottery and showed us how to spot the real McCoy. 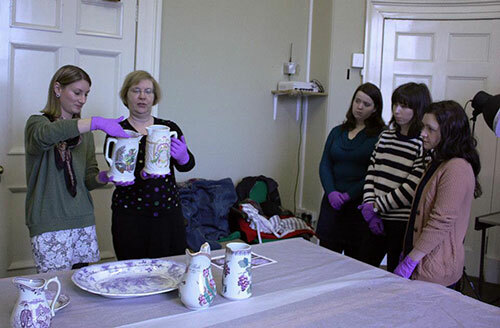 Curators Lyndsey Mcgill and Val Boa displaying items of Clyde pottery. Artefacts of questionable authenticity were not uncommon it would seem, with museums often unwittingly acquiring fakes for their collections, though we are told these counterfeit objects are getting easier to tell apart from the real deals. Val Boa explains how to spot fake Clyde pottery. 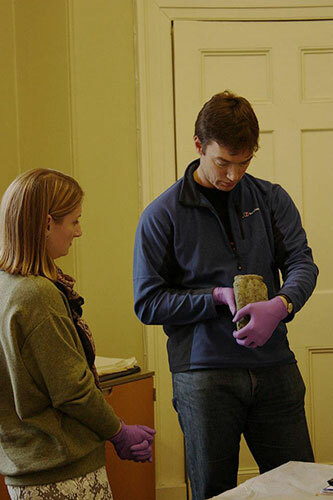 Val then presented her stone companion to Lindsey who – after some musings of her own – called upon the expert help of the Museum’s resident archaeologists. After the initial fear that their brains would not be at our disposal due to the infelicitous timing of luncheon, hope was restored with the promise of a visit in ten minutes. Fraser Hunter, Principle Curator of Iron Age and Roman Collections, arrived from the other end of the building, knowledge at the ready to vanquish our blundering preconceptions. We awaited his verdict in an atmosphere of piercing anticipation. Fraser Hunter examines the stone owl. The conversation passes in a blur. ‘Aha’, ‘yes that’s right’, ‘really’, ‘a fake’, ‘well I did wonder’, ‘how fascinating’ and so on. As it turns out, the area from which the pottery comes was a hotspot for faked relics. Fraser believed it was one of a number of objects planted around a crannog in the Inverclyde area around a hundred years ago. So our little friend most likely belongs to that trend of forged objects.